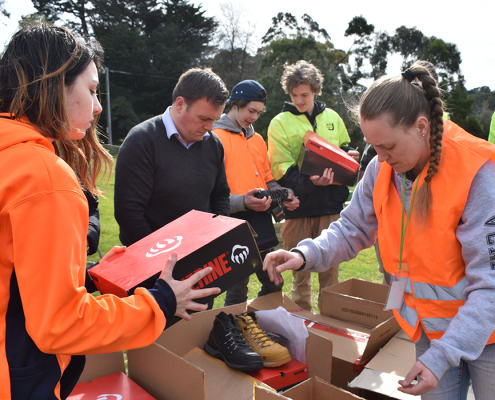 It was like Christmas at Cire’s Mount Evelyn campus on 3 August when a donation of a truckload, almost, of spanking new work boots arrived for horticulture students. 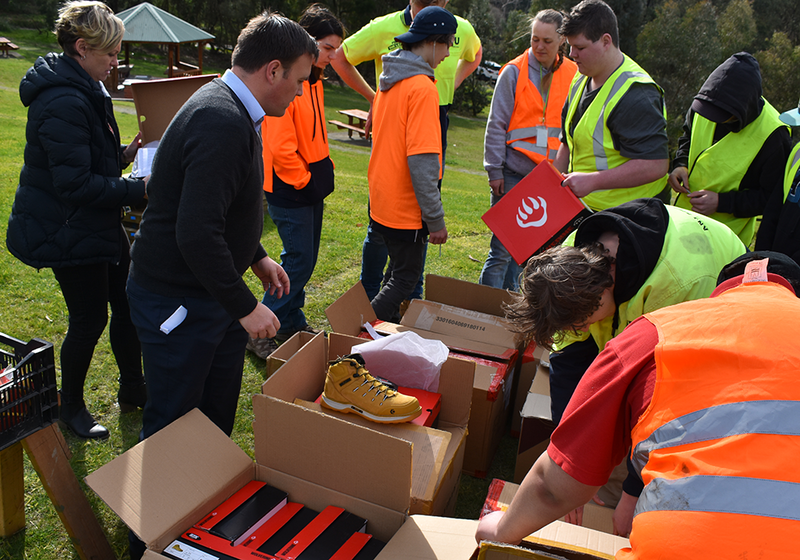 The Port Melbourne-based Workwear Group was behind the incredibly generous donation, with students eager to select their own from the 40 pair available. 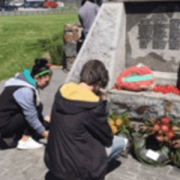 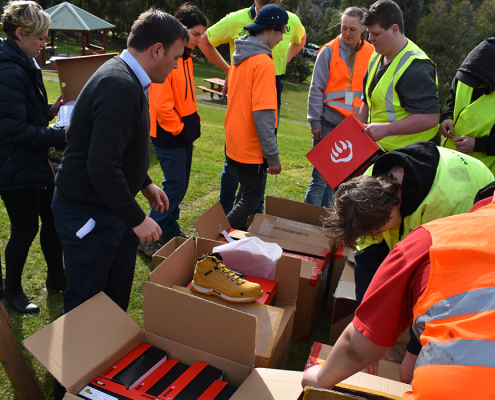 There were no second thoughts for one student who readily retired his dad’s boots. 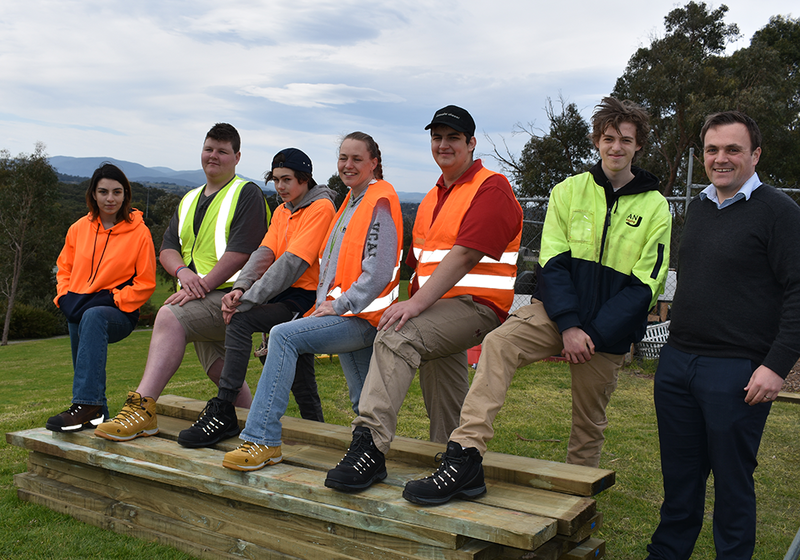 Karen Swankie, Leading Teacher VCAL/VET and Student Pathways, and Workwear’s John Simon were delighted to see the expressions on the faces of students when they tried on their very own work boots. 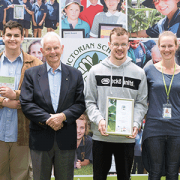 Some of the students readily went up to John to shake his hand in thanks. 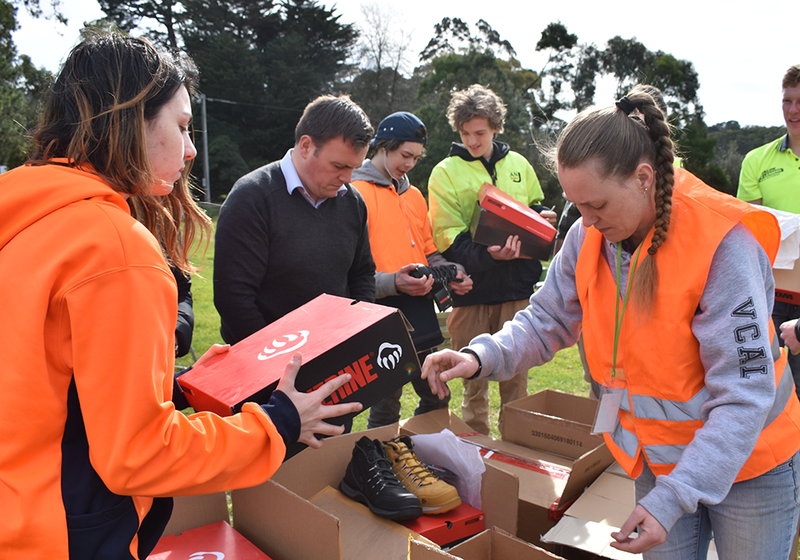 Ms Swankie said the boots would give students greater confidence to enter the VET field and workforce and maximise the opportunities that are available. 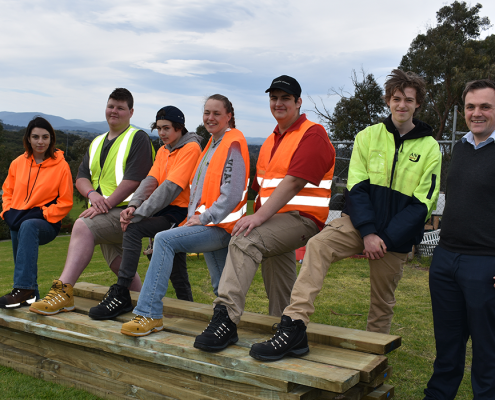 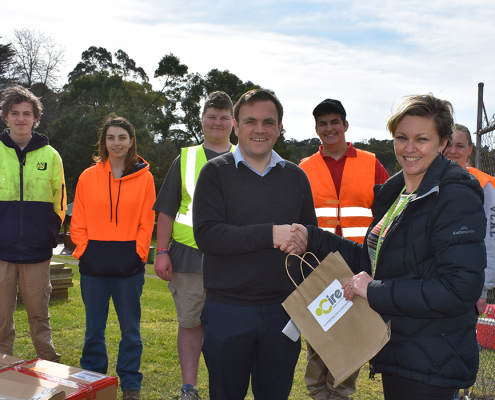 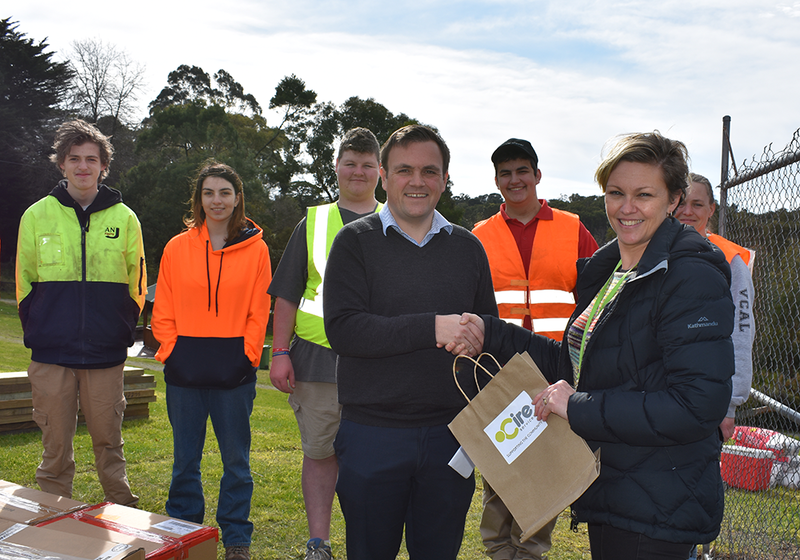 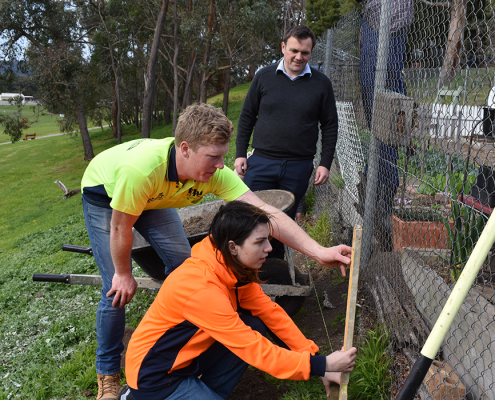 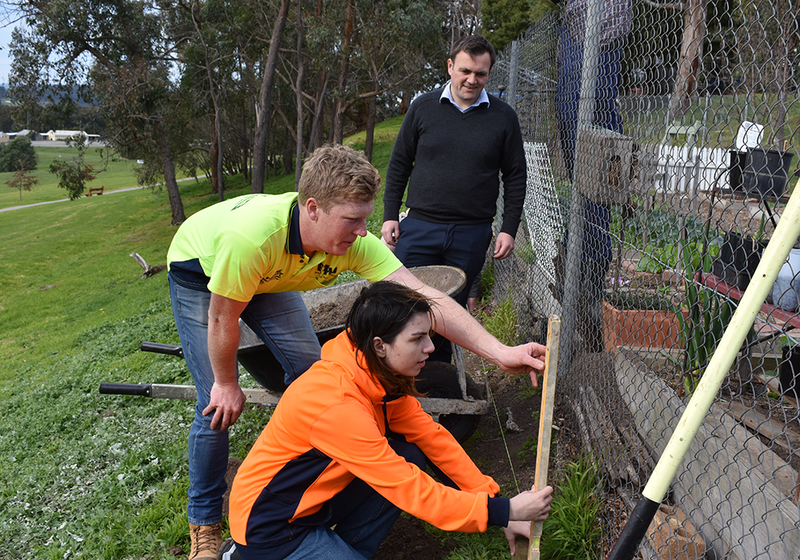 The boots will benefit Cire students at all year levels and across varying programs including those in Vocational Education and Training (VET) Horticulture run in conjunction with Swinburne TAFE and the Hands-On Learning program at Yarra Valley ECOSS which focusses on sustainability. 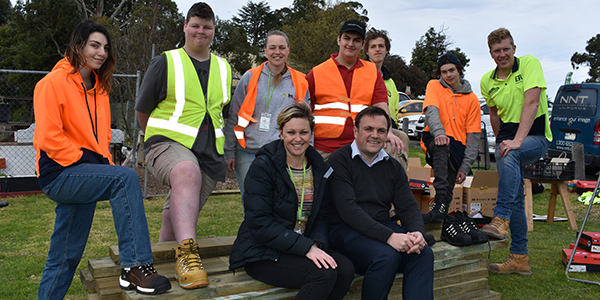 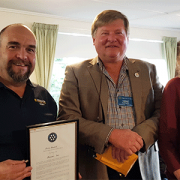 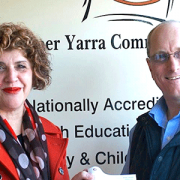 Ms Swankie said the donation was particularly timely given that students will be involved in structured workplace learning later this term in areas such as building and construction, nurseries and mechanical roles. 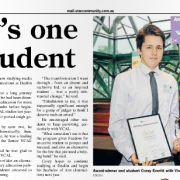 If you would like to know more about community school click here or call 1300 835 235.